Creative techniques grab attention - Wylie Communications, Inc. In living color: Make your message more vivid with colorful language. Concrete, creative details grab attention, increase reading, make readers’ brains light up — even help people slow down and read more carefully. Abstract, literal material does not. Up, up and away! : Creative copy elevates understanding, learning, memory and learning. Color me fascinated: Orange you glad you chose color? Your readers will be. Make your piece a portrait rather than a snapshot with description. It’s the “Peer Principle of Persuasion”: People connect with people. Readers find messages more readable, understandable and persuasive when your let a person stand for your point. Humor gets attention, makes a message go down easier and helps people understand information faster and remember it longer. It even makes you sexier. What are you waiting for? People have always learned metaphorically. We say that tables have legs and that chairs have arms. Do you need to win the hearts and minds of your audience members? Tell them a story. 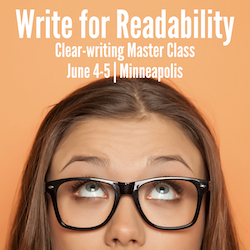 Want to captivate your readers? Get the media to steal your sound bites? Make your message more eloquent and memorable? Wordplay can help. Action plan: Turn abstract strategy stories into down-to-earth people, places and things. Some topics are hard to tackle. Brand guidelines, casual dress codes and safety, for instance, all come across as finger-wagging, nagging stories. Creative copy is powerful. It attracts attention, helps people learn and remember — even makes them more creative, according to the research. 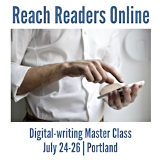 Draw them in: Want to grab reader attention? Make Your Copy More Creative. Beg, borrow or steal: Imitation is the sincerest form of professional development.